The Supreme Court will hear one of the most high-profile cases of its current term on Monday, as the Justices determine how states define if a person is mentally disabled to the point of becoming ineligible for the death penalty. NPR: With Death Penalty, How Should States Define Mental Disability? Twelve years ago, the U.S. Supreme Court ruled that people who are, quote, “mentally retarded” cannot be executed. But the justices weren’t very clear about exactly who they were referring to. They’re returning to this question today. NINA TOTENBERG, BYLINE: In 2002, the Supreme Court, in a case called Atkins versus Virginia, ruled that executing people who have retardation is unconstitutionally cruel and unusual punishment. But the justices left to the states the definition of retardation. The state court, nonetheless, subsequently upheld Hall’s death sentence on grounds that his IQ tests averaged over 70. Hall appealed to the U.S. Supreme Court, where the question today is whether states can establish a hard statistical cutoff for determining retardation. Florida’s statute, as interpreted by the state Supreme Court, sets the definition of retardation at an IQ score of 70 or below. Anything higher, and the defendant cannot put on other evidence to show he has retardation. Continue reading NPR: With Death Penalty, How Should States Define Mental Disability? Ethan Saylor’s name was not on the curriculum. But it was clear his death was the reason two dozen Frederick County deputies were sitting in a classroom Tuesday, learning how best to interact with people with intellectual disabilities. A year after the 26-year-old man with Down syndrome died while three off-duty county deputies forced him from a movie theater — an event that remains the subject of a civil lawsuit — the sheriff’s office has adopted a training program that focuses specifically on individuals with IQs of less than 70. Until now, the training the deputies received was limited to their interactions with people with autism and mental illness. Join us in Annapolis for an opportunity to advance the grassroots movement for people with intellectual and/or developmental disabilities (I/DD). Every day tens of thousands of Marylanders with I/DD are impacted by the public policy decisions made by the Legislature–the amount of funding available for DD services, civil rights issues like housing and transportation accessibility, education (including higher education) availability, for instance, are but some of the issues affecting those with I/DD. This is an opportunity to help your Legislators understand the real life consequences of their decisions! At DD Day, you will learn more about the 2014 hot topics in disability policy, then go together to the House and Senate Office buildings to meet with your elected officials and their staff to discuss critical disability issues and to share your real life experiences. New York (January 26, 2014) – U.S Senator Charles Schumer today at a Press Conference in NYC announced new legislation called “Avonte’s Law” that will look to start and fund programs to provide voluntary tracking devices for families with children with autism. “Avonte’s Law” was named after Avonte Oquendo, a 14-year-old boy with autism from Queens who bolted from his Long Island City school on October 4, 2013 . Last week Avonte’s body was found in the East River in Queens. Those who attended the press conference with Senator Schumer included Avonte’s mother Vanessa Fontaine, grandmother Doris McCoy, their Attorney David Perecman, and Executive Vice President of Strategic Communations at Autism Speaks Michael Rosen. In addition, Michael had his son Nicky with him who’s 26 and on the autism spectrum. RIVERSIDE, Calif.—Deborah Clark said a voice named Dora told her to burn books in a hall closet. She lighted them while her elderly, ailing parents slept and then walked to the store to buy dog food. Smoke from the fire in April 2012 killed both of them, the local coroner ruled. Prosecutors charged Ms. Clark with arson and murder. The 49-year-old woman is in protective custody in a Riverside County jail, awaiting a court hearing Thursday on whether she is competent to go on trial. When her siblings visit, she asks if she can go home. Ms. Clark says she misses her mother and father and dreams about them almost every night. 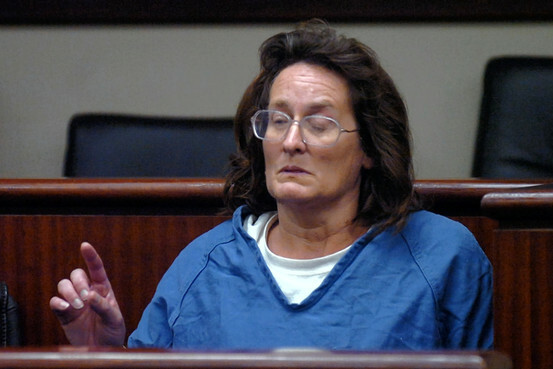 Los Angeles Times: Murder or mercy for woman with disability? Decorated by Gen. Dwight D. Eisenhower for bravery at the Battle of the Bulge, William Knox Roberts was a fighter. A surgery for liver cancer in 1999 had left him in the clear, but in February, he developed lung congestion that wouldn’t clear. X-rays revealed chronic pulmonary disease — and a mass on his liver. In July, Kaiser placed him under hospice care. He confided in his 59-year-old son, Tom, that breathing was like being waterboarded, and he grew more and more apprehensive about the fate of Tom’s sister, Marian, who had needed round-the-clock care since a brain injury in 1987. “He told me: ‘You can’t do it by yourself. You can’t do it alone,'” recalled Tom, who had slept on an air mattress at the foot of his sister’s bed for more than a quarter of a century. The elder Roberts, now 88, had grown hard of hearing and become a bit paranoid. He slept with a gun under his pillow, Tom said, and would on some nights tromp midway down the stairs leading to the siblings’ room and sit there for hours, armed, to “protect his daughter” from intruders. On Aug. 17, however, he seemed in high spirits. He suggested a big dinner of prime rib and potatoes. Marian “loved it,” Tom said. The following night, brother and sister turned in at 11 p.m.
At 4:30 a.m., Tom leapt up to the sound of back-to-back pops and stepped on something he initially thought to be a tooth. As he raised it to his face in the darkness, he saw a shell casing coated in ceiling plaster. Continue reading Los Angeles Times: Murder or mercy for woman with disability? ANNAPOLIS, MD – Governor Martin O’Malley today issued an Executive Order to improve training to help law enforcement personnel, paramedics, and other first responders better respond to situations involving individuals with intellectual and developmental disabilities (“IDD”). The Executive Order creates the Maryland Commission for Effective Community Inclusion of Individuals with Intellectual and Developmental Disabilities (the “Commission”). Governor O’Malley also announced that he would name Dr. Timothy P. Shriver, Chairman & CEO of Special Olympics, as Chairman of the Commission. Eleven years ago, the Supreme Court banned the execution of intellectually disabled people in Atkins v. Virginia. Ever since, some states have worked to circumvent that ruling by defining intellectual disability using unscientific standards or by making it nearly impossible to prove. On Monday, the justices indicated that they may at last be ready to clarify the Atkins decision by agreeing to consider whether a Florida law defines intellectual disability too narrowly.